shopspaviolet offers Coloresciences's Sunforgettable SPF 30 and SPF 50 are two of the best sellers and probably my most fav. Easy to apply and even easier to re-apply this loose mineral formula is a UVA/UVB sun protectant and provides 80 minutes of water resistance. While in the sun a re-application every 2 hours is recommended. The special ingredient of fossilized red algae guards the skin against the aging effects of infrared, UV and visible light. And the ultra awesome combo of titanium dioxide (23.9%) and zinc oxide (24.1%) provides full spectrum protection. I have to say "my cranky to apply sunscreen on their faces boys' have no issue applying this on their faces prior to a surf. And I even have the local lifeguards using the Sunforgettable SPF 50. Why Are We So Obsessed with Lilash?! 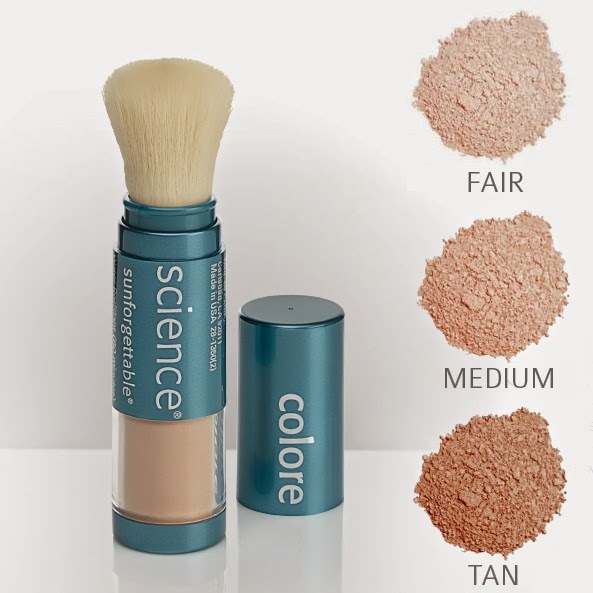 What is The Colorescience Difference? How does Niacinamide work on acne ?